Oppo is the mobile manufacturing company, which is implementing the proprietary technology for the camera and battery charging tech. The company has launched the handsets, R11 and R11 Plus. Oppo has shared the teasers for coming phones and their features, which are now making official. The company said that new R series of phones will be powerful and it will be added with much better photography experience. Both the smart phones have the similar design and phones have all metal frame with slight camera bump for provision of rear cameras. The design of the phone is looking similar to certain phone with the logo of fruit. This phone has the thin waistline. The R11 smart phone is provided with 5.5 inch 1080p IPS LCD and the plus variant will have the feature of 6 inch display of same resolution. It is also suggested that Oppo might have AMOLED panels instead of LCDs. The R series of the handset is known for having good camera performance and the new models are provided with dual 16 MP plus 20MP rear cameras and 20 MP selfie shooter. There are some of other features, which are provided in the previous offering of Oppo. The details of these smart phones have been leaked and it revealed the specifications of the device. The handsets are added with Snapdragon 660 and has 4GB RAM with 64 GB internal storage capacity, which can be supported with microSD cards. The smart phone, R11 Plus has 6 GB RAM and the remaining specs are same. This handset is added with Android 7.1 Nougat, which is based on color OS, which is upgraded over recently announced F3 and F3 Plus. It is rumored that this handset will be added with 2900 mAh battery unit for R11 and the R11 Plus will be added with large 3880 mAh unit. 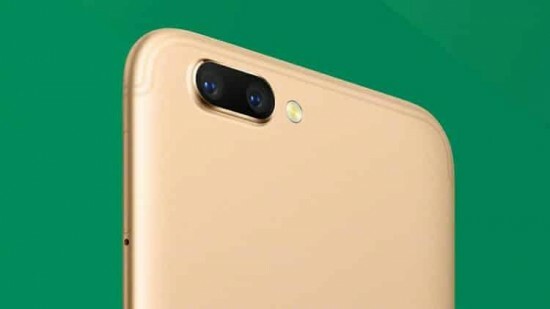 Oppo has confirmed this news officially that the new handset will be announced on 10 June and it has confirmed through leading TV advertisements and no other information are leaked about the price of the phones.